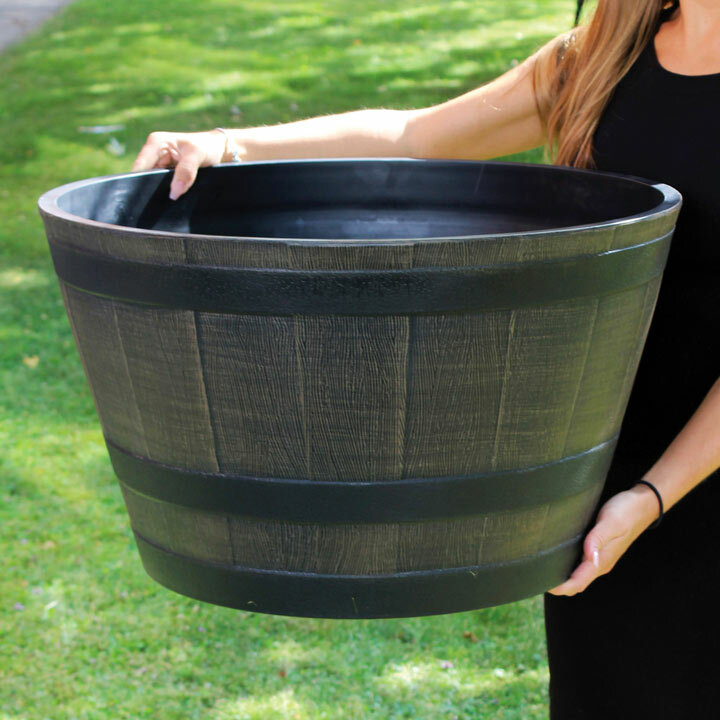 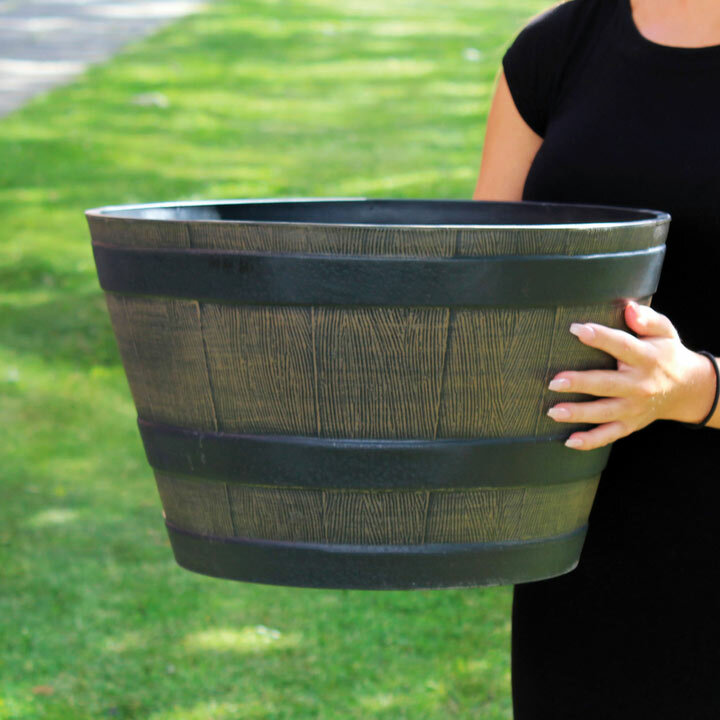 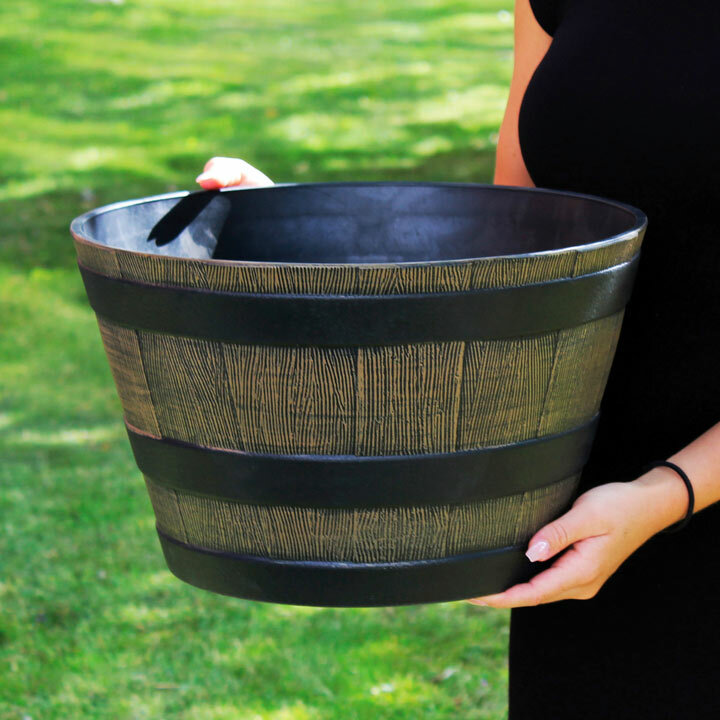 These traditional and rustic oak barrel design planters are made from durable and weather resistant plastic. Available in three sizes - Small 33cm diameter, 20.5cm high. 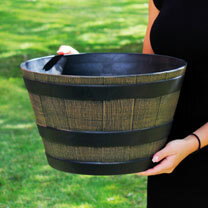 Medium 44cm diameter, 27cm high. Large 63cm diameter, 37cm high.